Kaiser Permanente has billed for back premiums when the coverage was never cancelled and in excess of allowable amounts. Kaiser has continued to cancel coverage for one of their members through Covered California for unpaid premiums that don’t apply to current enrollment. This is not the first instance of Kaiser demanding back premiums for coverage. The billing confusion seems to revolve around Covered California and Kaiser’s billing department not recognizing payments and changes to the enrollment. 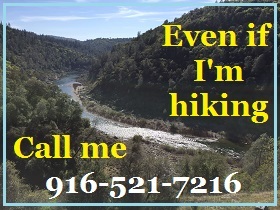 I was contacted by the family in the fall of 2017 to assist them with enrolling a household member who was no longer eligible for Medi-Cal. The family told me they had numerous billing issues with Kaiser but they seemed to be all settled. 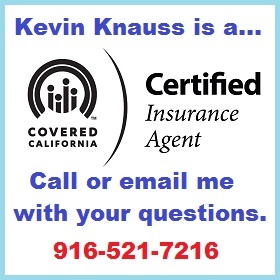 We enrolled the adult household member onto the family plan through Covered California and the family received the Kaiser invoice with the correct monthly tax credit subsidy. They made their payment and then everything went sideways. In 2017 Kaiser was showing past due premium balances for the family plan. There was a $4,200 balance at the beginning of August 2017. After the family showed they had made those premium payments, the previous premium payment error was removed from the statement. The monthly premium amount was $638 which was paid. The 2017 statements show that an erroneous balance of $4,280.62 was removed, but Kaiser billing added another charge for back premiums just a few months later, causing the health plan to be cancelled. After we added the new household member through Covered California, Kaiser decided the family still owed $2,300 in back due premiums. Because Kaiser showed a past due balance on the books in January, they refused to enroll the family for 2018 coverage. However, they continued to send invoices to the family and the family continued to make their monthly premium payments on time. Simultaneously, Kaiser and Covered California showed the family coverage was terminated at the same time that Kaiser was invoicing the family for health insurance, which was paid by the family. On May 5, 2018, they received a letter from Kaiser that showed how screwed up the Kaiser billing system was. This nonsensical letter to a Kaiser household demands payment for back premiums six months earlier in a previous year. The health plan had already be cancelled at Covered California, but Kaiser continued to bill the family and the family continued to make their premium payments. Full payment of your Kaiser Permanente membership premiums, which was due April 30, 2018, has not been fully received. Regretfully, if $2,368.48 is not received by October 31, 2017 [emphasis added], you membership will be suspended. Kaiser is made up of 3 units. There are the doctor medical group, the hospital, and the insurance. The doctor’s group and the hospital unit bill the member and the insurance for health care services provided. Kaiser Permanente pays their portion of member claims according to the terms of the health plan. The member pays their monthly health insurance premium amount to Kaiser Permanente and their portion of the member cost-share such as office visit copayments. Health insurance is a monthly contract. If the member, of any health plan, does not make their monthly premium payment within 30 days, the health insurance plan is terminated. The last month of coverage is the last month that the premium payment was made in full. If a health plan member received an August premium invoice, and did not pay it, on September 1 they would be terminated. Any services the member received in August would not be covered by the health plan as the member was not insured. The health plan member would have to pay the full retail price of those services to the provider for August. Once a health plan is terminated, it is cancelled. No balances accrue into the future. Health plans don’t try to recover health insurance premiums not paid because they cancelled the health plan. If a health plan is cancelled, there is no contract for covered services. The individual cannot owe a premium for a plan that was terminated. Health insurance through Covered California does have more consumer protections. Even though the health plan is cancelled after 30 days for non-payment, Covered California members have 90 days to make all of the back premium payments and reinstate their health plans. This little consumer protection caveat may be at the root of the Kaiser billing confusion. 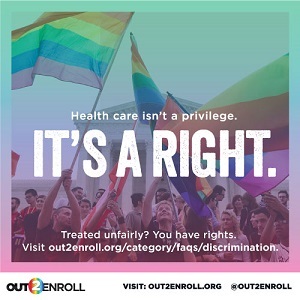 However, under the Trump Administration, health plans were given the right to deny coverage to individuals if they had let their coverage terminate due to lack of premium payments. The consumer can be charged no more than one month of back premium payment in order for the health plan to be effectuated, if the consumer is enrolling in the health plan again. This can happen during open enrollment if the health plan had been terminated during the previous year for lack of payment. But this isn’t the only case. I was contacted earlier in the year by a gentleman who kept receiving invoices for health insurance his wife was no long enrolled in. Kaiser said she had been a member for most of 2017. She had not been a member because she had employer insurance. Kaiser wanted the back premiums. Kaiser Permanente is not owed any back premiums for a health plan that was terminated through Covered California or lapsed for lack of premium payment. I wonder how many other people Kaiser has scared into making past premium payments they did not owe? For my client, Kaiser should not have failed to enroll the family for 2018, cancelled coverage in January 2018, or again terminated coverage in June of 2018. If you can follow and understand the previous sentence, it is apparent that Kaiser billing is really screwed up. They are putting this family through incredible amounts of stress over this situation. Covered California will do nothing to intervene in this erroneous termination and has no controls to catch these mistakes. Covered California blindly accepts any cancellation of coverage notice sent to them by the health plans. I understand that it is not Covered California’s responsibility to monitor the billing systems of the health plans. But since they are the gate keeper of health insurance for these families, they should have a better review and appeals process. If a health plan is terminated for lack of payment that is not a qualifying event for enrolling in health insurance under the Special Enrollment Period outside of the Open Enrollment Period. That means these people are without health insurance even when they have all the documentation to prove they have made their premium payments. Shortly after publishing this post I was contacted by both Covered California and Kaiser to assist in resolving the issue. I put them in contact with the my client because she had lots of paper work documenting her payments. The client contacted me on July 10th and said Kaiser had reinstated her. Unfortunately, as of the same date, the Covered California account for the client did not show enrolled. 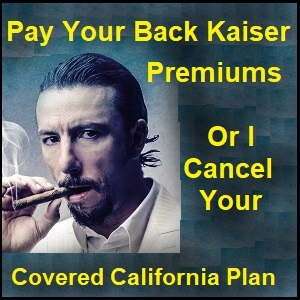 But at least part of the problem is solved and perhaps Kaiser will update Covered California shortly.